08.09.2013. Swansea City have been drawn in Group A of the UEFA Europa League for their debut in the competition along with Spanish giants Valencia, Swiss side St. Gallen and Russian outfit Kuban Krasnodar. Swansea earned their place in the UEFA Europa League qualifying rounds by winning the League Cup last season and progressed to the group stages courtesy of a 4-0 aggregate win over Malmo of Sweden and a 6-2 aggregate victory over Petrolul Ploiesti of Romania. Following last season’s cup success, Michael Laudrup has seen his Swansea side make a mixed start to the 2013/14 Premier League season. Swansea began the campaign with a disappointing 4-1 home defeat to Champions Manchester United and were then narrowly defeated 1-0 at White Hart Lane, however the Swans then recorded an impressive 2-0 away win against West Brom to get their season up and running. Swansea have added to their squad that finished 9th in the Premier League last season for the upcoming Europa League adventure with no less than 11 new signings. Fans will be most excited by club record signing Wilfried Bony who joins for £12m from Vitesse Arnhem and will be hoping to score plenty of goals in Europe this season. Swansea’s toughest opponents in the Europa League group stage will be La Liga side Valencia who have a talented squad which includes French centre back Adil Rami, Argentinean midfielder Ever Banega and Portuguese striker Helder Postiga. Swansea supporters will be hoping Michael Laudrup’s experience of playing and managing in La Liga can give the Welsh side an advantage over their opponents who have plenty of experience in European competition. Valencia did well in Europe last season reaching the quarter finals of the UEFA Champions League as well as finishing in 5th place in La Liga. Swansea winger Pablo Hernandez has been given the chance to return to the club he left in 2012 with this draw which could provide added incentive for the player to perform well. Although fairly unknown around Europe, group A members St. Gallen are very much a team on the rise after the Swiss outfit qualified for the UEFA Europa League by finishing third in the Swiss league despite only being promoted the previous season. 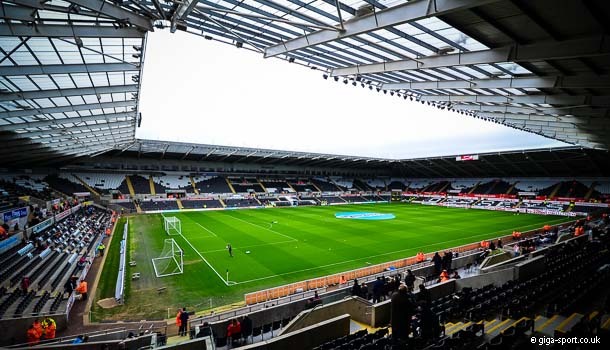 Confidence will no doubt be high at the AFG Arena when Swansea visit and the Welsh club may be faced with a tough task in coming away with all three points. St. Gallen impressed many in qualifying for the group stages of the competition with a 5-3 aggregate win over Michael Laudrup’s former club Spartak Moscow. Finally, Swansea will face a long trip to Russia where they will take on Kuban Krasnodar. The Russian team has already made a trip to the UK this season, when they defeated Scottish side Motherwell in the third qualifying round of the competition. A play-off round victory over Dutch club Feyenoord then ensured Kuban Krasnodar progressed to the group stage. Like fellow group members St. Gallen, Krasnodar have only recently been promoted to the top of their domestic league system, winning promotion in 2010. Swansea will need to beware of Bulgarian midfielder Ivelin Popov who has shown he has an eye for goal with three goals already in the competition as well as former Liverpool striker Djibril Cisse who is a recent addition to Krasnodar’s attack. Like Swansea, 2013/14 will be Kuban Krasnodar’s first appearance in the UEFA Europa League.